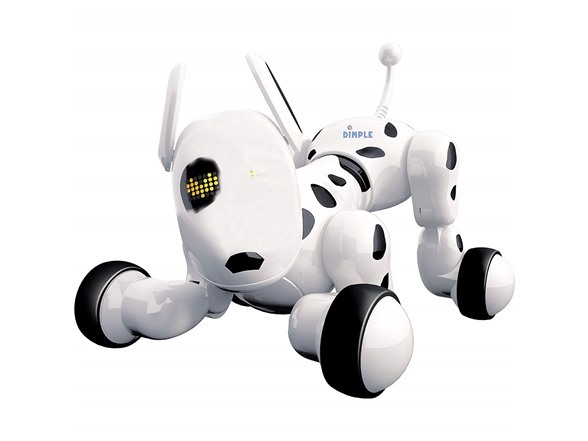 These remote-controlled puppies can dance, speak, sing, and make children laugh with small farts! 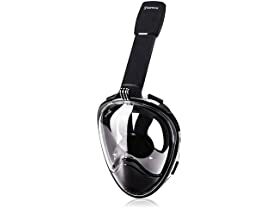 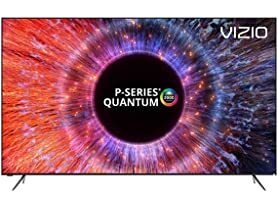 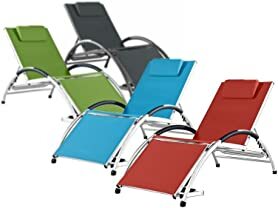 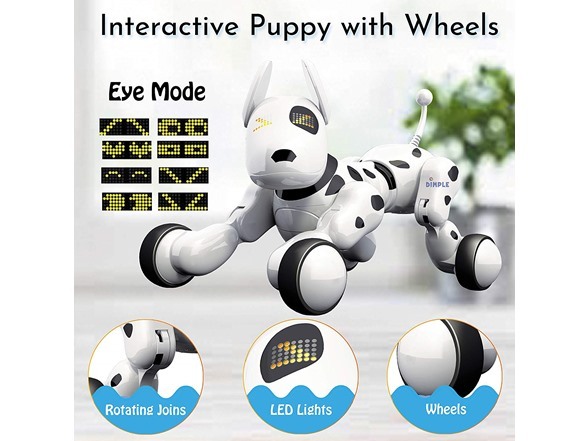 What’s more, kids can change sights, sounds and functions with their remote, and even learn the alphabet with the color “eye mode”. 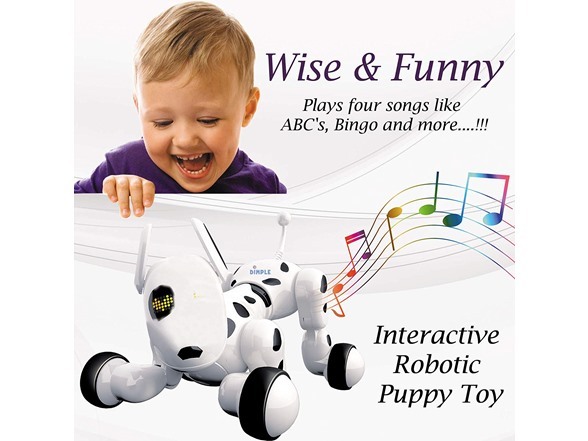 It also plays four songs like ABC's, Bingo and more! 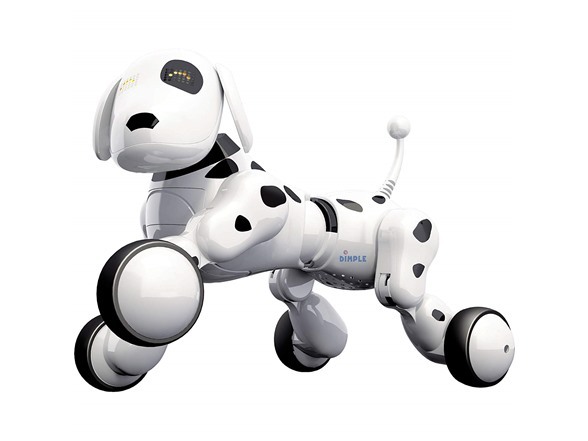 This remote-controlled puppy lets them dance, play, and have hours of fun with their new best friend!. 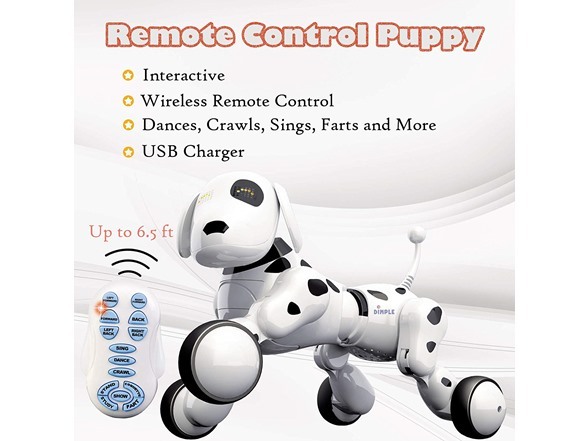 Fun, Interactive Play – This adorable remote controlled toy puppy can sing and dance. 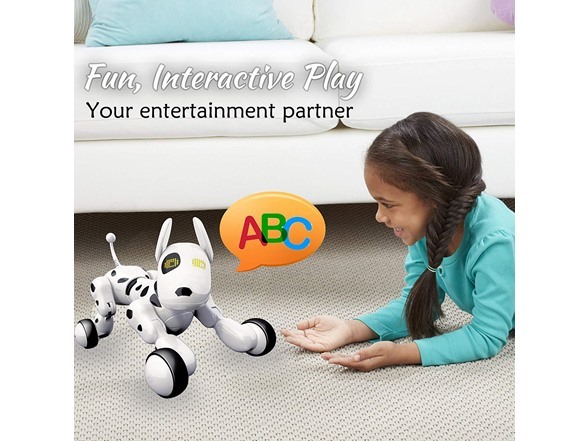 With multiple play modes, including alpha- bet/number learning mode, this toy is great for kids of all ages! 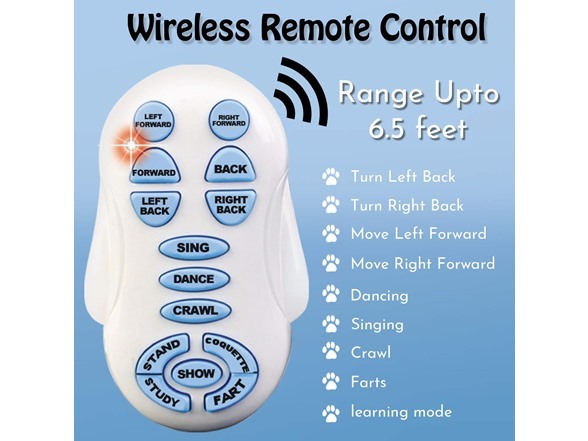 Easy-to-Use Handheld Remote – Each wireless remote-control puppy comes with a long-range controller that lets you train and direct your puppy up to 6.5 feet away! 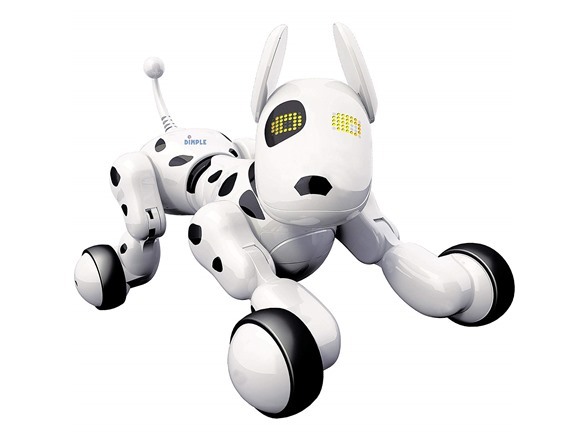 Perfect Birthday or Holiday Gift – Made for ages 2-7, these interactive remote-controlled puppies make the ideal gift for kid’s who love technology and dogs!